I was trying to figure out a way to start this post, when I got a message from Eugene. 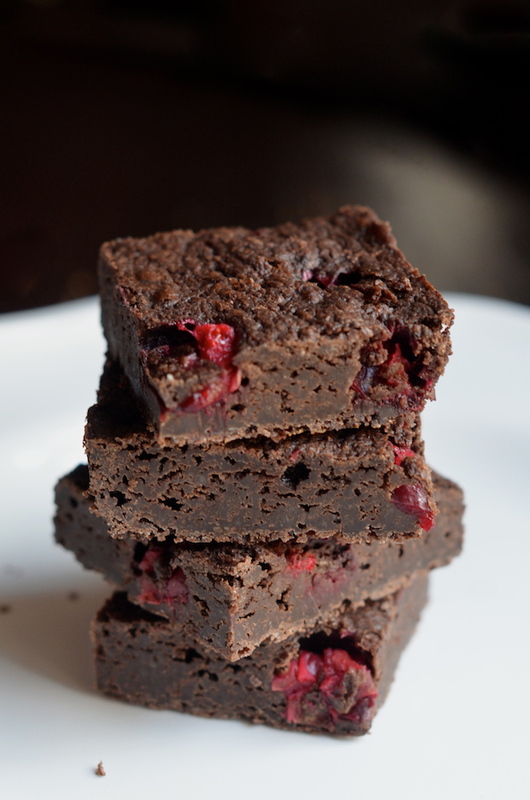 He'd brought these Fresh Cranberry Brownies to work with him, and he wanted to tell me that one of his coworkers commented that they tasted like "Heaven in a square." I was like, "anecdote = done and done!" I love brownies, and most of the time--as long as they're rich and fudgey--I'm generally pretty happy with them. But this doesn't keep me from wanting to play around with seasonally inspired variations! 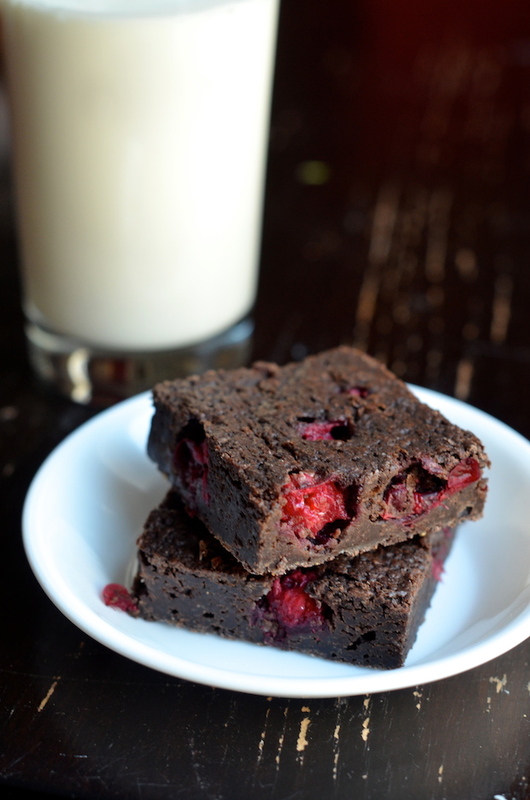 This twist adds whole fresh cranberries and a touch of warm cinnamon to my favorite basic brownie recipe. Made with real semi-sweet chocolate, it's the perfect fudge-like square to serve during the holidays. The trick here is to use fresh cranberries--not dried, not sauced, not even frozen. You want fresh cranberries that will provide a beautiful tart burst of flavor to contrast the deep chocolate sweetness. I recommend making these the day ahead, chilling overnight, then cutting into small squares. I know it's hard to wait, but trust me on this--it really does make all the difference. Combine butter and chocolate in the microwave and melt in 30 second intervals, stirring in between, until smooth and completely melted. 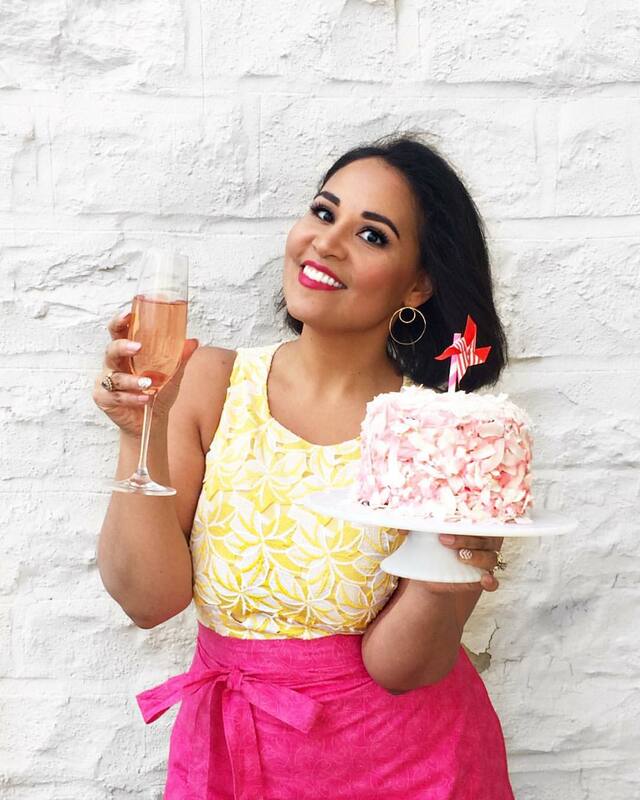 Pour into the base of a mixer and add the eggs, vanilla, and sugar, and beat until smooth and evenly combined. Add the flour, cinnamon, baking powder, and kosher salt, and mix again until evenly combined. 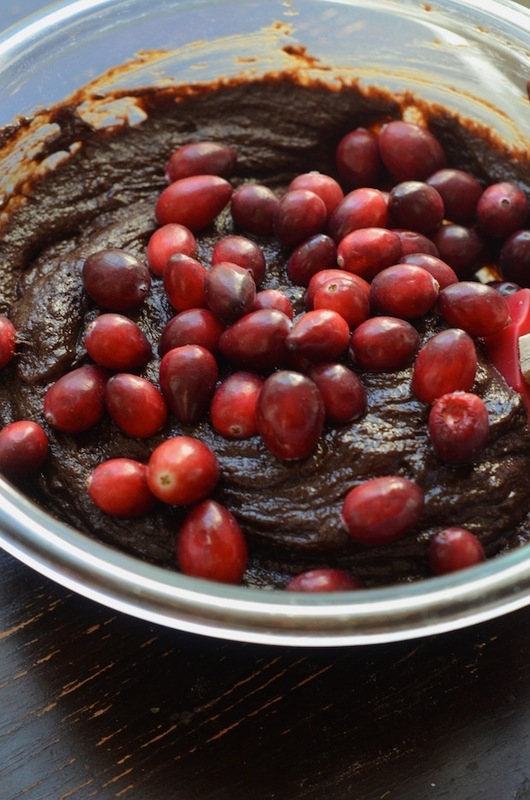 Stir in cranberries by hand, then spread batter in prepared baking pan. Bake about 25-30 minutes, or until fully set and a toothpick comes out clean. Let cool completely and preferably chill overnight, before cutting.